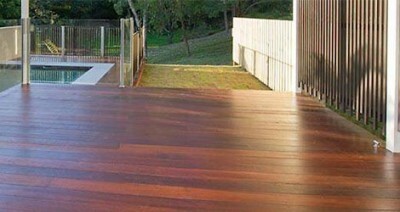 One of the biggest impacts on the appearance of your timber floors comes from footwear. High-heel shoes are the worst offenders, with the small points of the heel leaving unsightly divots all over your floor. Beware of all shoes with hard soles: work boots, narrow-heeled shoes (like stilettos) and boots, and football boots with cleats will all punch holes in even the hardest of hardwood timbers. This tends to be an issue in the most high-traffic areas. You could consider laying rugs and mats in areas like entries and hallways, where the family passes through before removing their shoes. And it’s always a good idea to consider passing a ‘shoes off at the door’ rule through your household—it’ll keep your timber floors safe, with the added benefit of reducing the amount of dirt being tracked into your house and reducing your cleaning. And don’t forget your pet’s feet: cat and dog claws are among the biggest causes of scratches on your timber flooring, so make sure their claws are trimmed all year round. Dirt and dust on your floors is obviously unpleasant. Dust bunnies gathering in the corners of the room can be quite obvious when you have timber floors, and it’s not nice to end up with black soles on your bare feet. But besides this, there are even more reasons to keep your floors clean with regular sweeping and mopping. 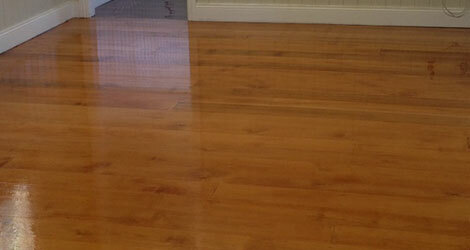 Dirt and grit can scratch the surface of your timber floors, dulling the sheen and creating hairline cracks. These scratches will collect dirt and dust over time and become more noticeable. But don’t go overboard with cleaning products, either: the chemicals in many floor cleaners can leach the colour and moisture out of the timber. It’s best to sweep and mop with soft-headed brooms, preferably ones with a removable sock over the head that can be replaced when its worn. When mopping, use only a pH-neutral cleaner or a few tablespoons of white vinegar added to a bucket of warm (not hot) water, and use a damp (not wet) mop. Do not use steam mops as they can affect the coatings and cause them to peel/blister. Another good tip: use and anti-static mop between vacuums to make it even easier to keep your floors looking great. One of the more overlooked causes of damage to timber floors—particularly in Brisbane homes—is the sun. Sun exposure bleaches timber floors, as well as dries out their natural moisture, causing them over time to end up cupping and peaking and the grain to open. If you have large windows or glass doors that cause areas of your floor to be exposed to the sun for long periods each day, your floors will need extra care. Consider making changes to the room, with adjustable window coverings to block the sun at certain times of the day. Tinting your windows will help to reduce the intensity of the sun exposure in the room; but the best solution is investing in good quality blinds, curtains, or awnings to keep your timber from sun damage. It’s also good to keep in mind that water-based coatings are a better choice for timber floors in rooms with lots of light, as the coating won’t yellow off as much as traditional polyurethane polishes will. 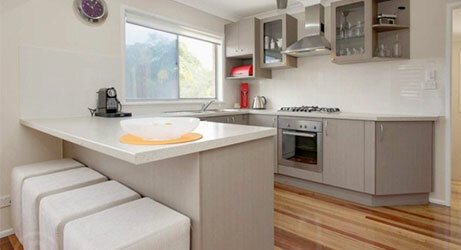 Moisture and extreme temperatures can cause a lot of damage to timber floors. Moisture underneath the floors, or especially hot temperatures above the floor can cause cupping and peaking (where the floorboards bend so their edges are higher than their centre), or cause sections of flooring to buckle and rise above the rest of the floor. Uneven patches of moisture or temperature exposure can also cause gaps at the board edges. This can also be a temporary, seasonal change, but it can also show that the climate in the room is too dry, moist, hot, or cold. Although it can be difficult in Brisbane’s unpredictable weather extremes, try to maintain ambient temperatures throughout your home, and deal with problems that cause moisture. It might mean some work on your home, but it’ll pay off when you’ve also prevented moisture damage to other areas (like bathrooms and wardrobes). One of the best ways to prevent damage to your timber floors is by using protective felt pads on the legs of your furniture. This is particularly important for furniture that you move a lot, like the chairs of your dining suite—and for a longer hold, you can superglue the felt pads to keep them in place. For larger, heavier furniture, you can use castor cups with a felt base. It’s important to remember that after you’ve polished or varnished your timber floors that you shouldn’t place any light furniture on them within 24 hours of the final coat, whereas heavier objects you should allow for 48+ hours (the longer the better). The furniture should also be lifted into place - not wheeled or dragged/pushed into place as the floor coatings are still curing and take a lot more time harden. It’s also especially important not to lay rugs or mats over them for at least 2 weeks, because it will prevent the varnish from curing. Even if you’ve never followed any of these guidelines, and your timber floors are showing signs of wear and tear, it’s possible to extend their lifespan. Sometimes it’s possible to add many years of use to your investment with just one maintenance coat; but if they’re markedly damaged, they can still be brought back to life with a full re-sand and a few coats of professionally applied polish. 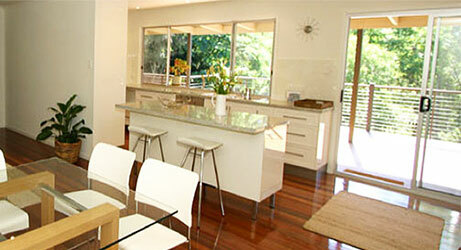 DR Main Floors are Brisbane’s premier floor sanding specialists. We can restore your beaten timber floors back to their natural beauty with our professional skill and high-quality finishing products, so contact us anytime for obligation-free advice on keeping your floors looking great for years to come.